Boca Raton is home to some of the most prestigious and desirable gated communities in the South Florida region and throughout the world. Stunning architecture, well-maintained landscaping, convenient water access, and other attractive features make these communities desirable for the sophisticated buyer. Above all, the safety, privacy and exclusivity of these gated communities make them especially noteworthy. Take a neighborhood tour behind the gates of these neighborhoods where you’ll find all of the above and so much more. 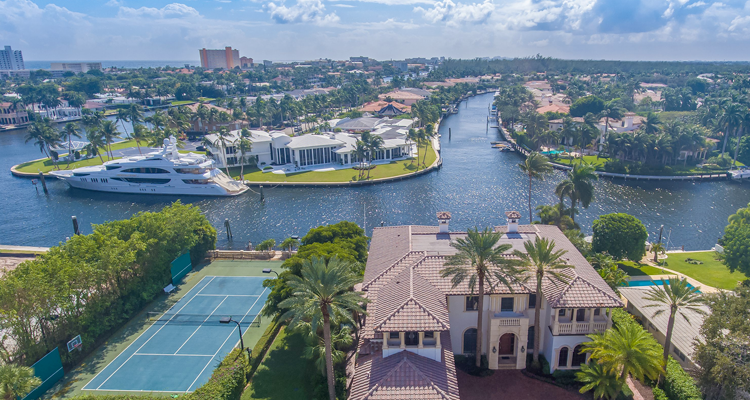 Distinguished as one of the most prestigious gated communities in the entire nation, The Sanctuary offers the utmost in quiet seclusion in Boca Raton’s internationally acclaimed yachting enclave. 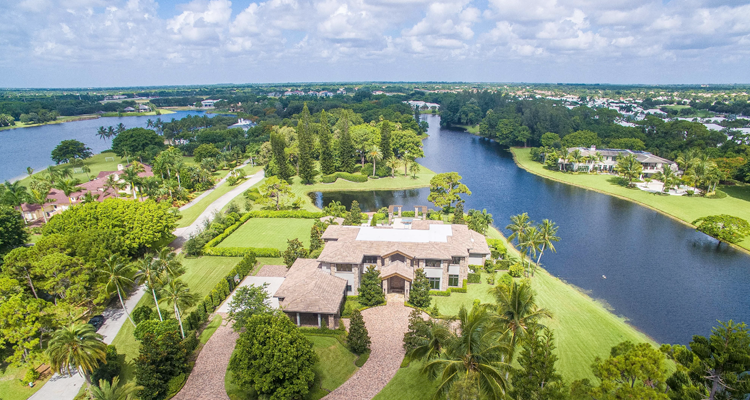 Featuring some of Boca Raton’s finest residences, estates in The Sanctuary are nestled on winding tree-lined streets and finger isles capturing protected views over the tranquil waterway to a lush nature preserve. Deepwater dockage for substantial yachts is a prized asset of this community. Some residences are located on expansive double lots with multi-yacht dockage, while other coveted estates are located on a point, opening up panoramic views over the water and preserve. In The Sanctuary’s sublime seclusion and idyllic natural beauty, many residences feature magnificent outdoor entertainment spaces with amenities that rival those of an exclusive private resort. One of the nation’s most sought-after yachting communities, established more than half a century ago, Royal Palm Yacht & Country Club takes its place as Boca Raton’s prestigious signature address, synonymous with the resort lifestyle envisioned by Addison Mizner in the 1920s. In fact, Forbes included Royal Palm Yacht & Country Club amongst the nation’s most exclusive gated communities. 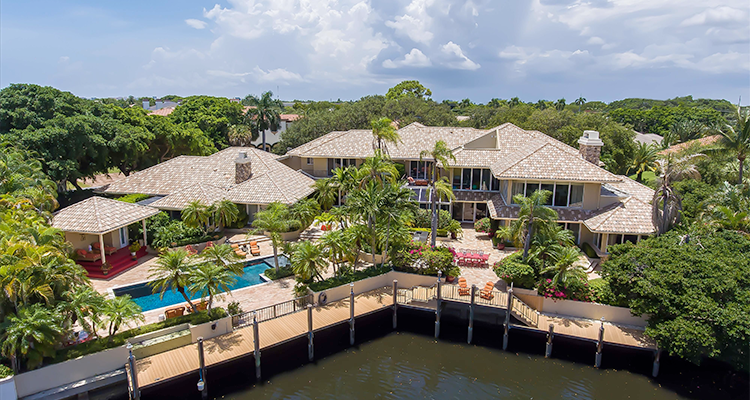 Many properties here feature private yacht dockage at their doorstep, and have quick access to the open ocean through the nearby Boca Raton Inlet. Some are sprawling compound-like estates encompassing multiple lots, and several overlook the magnificent Royal Palm golf course, a signature design by the legendary Jack Nicklaus. Residents of Royal Palm Yacht & Country Club enjoy exclusive club amenities, such as a full-service marina, fitness center, swimming pool, tennis and croquet courts, and fine dining. Situated upon 200 acres of land, Le Lac is a vast and scenic neighborhood dotted with sparkling lakes throughout. Estate properties in Le Lac are situated on over an acre of land, providing privacy and serenity for these impressive mansions. The community hosts 32 estates valued from $5 million to over $20 million. Surrounded on all sides by golf courses and country clubs, this is the ideal residence for the golf enthusiast and socialite. Le Lac residents enjoy the privacy of their own exclusive community while still maintaining a reasonable distance from several of the area’s attractions. Addison Estates hosts just 15 estate homes ranging from $2 million to $4 million due to their grandiose sizes, access to world-class amenities, and modern features. Several estates feature home movie theaters, multi-car garages, private pools, gyms, and more. 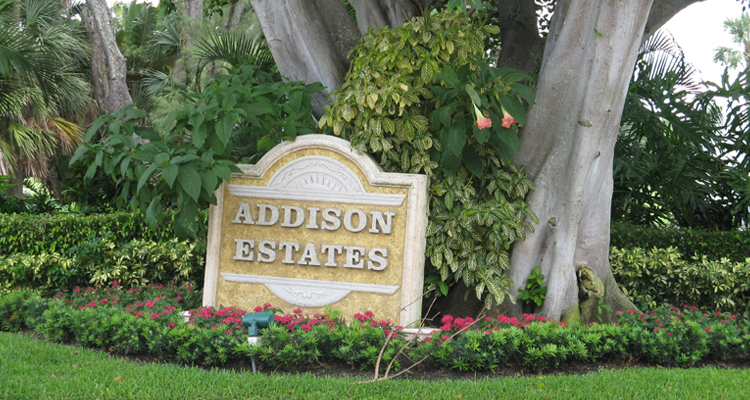 Addison Estates is a highly sought-after and desirable community to call home. Uncompromising standards distinguish St. Andrews Country Club as one of Boca Raton’s finest gated country club communities, where exclusive amenities and South Florida’s tropical beauty come together for an unmatched lifestyle. Sporting and social activities center on the impressive 125,000±-square-foot clubhouse and two magnificent 18-hole championship golf courses designed in the St. Andrews style, including the signature Palmer Course by Arnold Palmer and the Olde Course by Gene Bates. There is also an extensive tennis center with 15 clay courts, plus an expansive fitness center and a luxurious spa facility. St. Andrews Country Club hosts 739 exceptional estate homes on tranquil winding streets offering breathtaking vistas of the golf courses, lakes, and wooded preserve land. 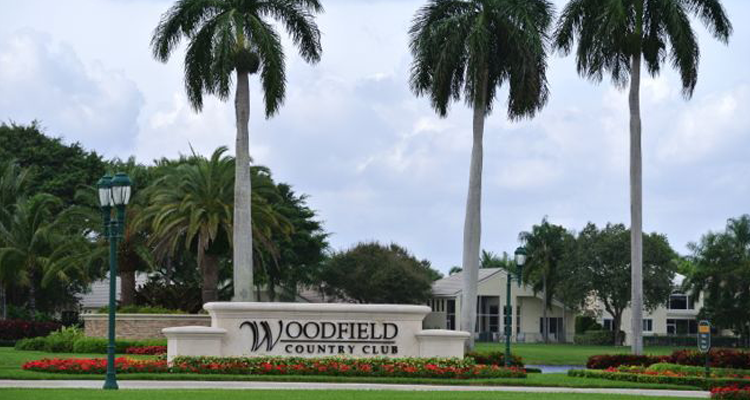 Prestigious Woodfield Country Club is one of South Florida’s premier family-friendly club communities and has received coveted recognition as one of the Platinum Clubs of America. Overlooking the meandering 18-hole Bob Cupp-designed championship golf course, the lavish 90,000±-square-foot clubhouse serves as the centerpiece of the community’s resort lifestyle and is complete with a golf pro shop, numerous dining venues, and a grand ballroom. Equally impressive are the luxurious fitness center/spa, award-winning 20-court tennis center, and spectacular Cascades aquatic center. Woodfield Country Club is comprised of 20 distinctive neighborhoods hosting a variety of single-family residences, townhomes, and villas. On a lakefront cul-de-sac, the Carlton Place enclave provides the setting for some of the most prestigious Woodfield Country Club mansions. Another highly prized enclave is Princeton Estates, home to only 19 ultra-luxurious residences. 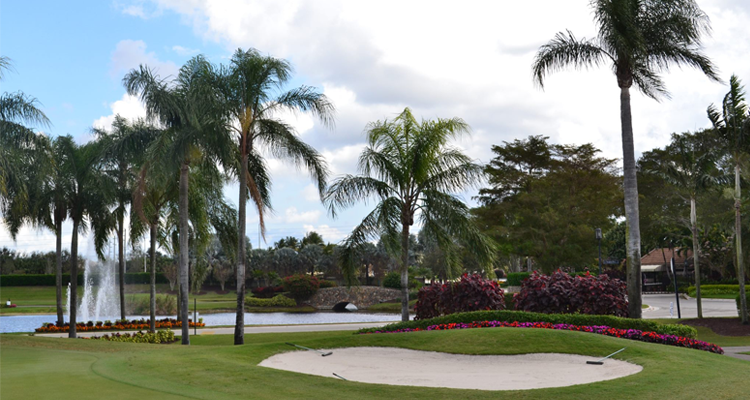 In western Boca Raton, Stonebridge Country Club is a private gated community with just under 400 residences on 400± acres of lushly landscaped grounds. Known for its elegance and luxury, Stonebridge Country Club features a new 40,000±-square-foot clubhouse as its centerpiece, complete with an elegant dining room, Grille Room, and Lakeside Lounge. The Club’s newly renovated golf course designed by Karl Litten plays host to the LPGA Tour. Other amenities include the newly renovated 6,000±-square-foot fitness center and the tennis complex with 16 Har-Tru courts, four of which are lighted for night play. Stonebridge Country Club hosts spacious custom-built residences overlooking the scenic golf course and tranquil private lakes from their beautiful indoor and outdoor living spaces. Which gated Boca Raton community do you have your eyes on? We would love to know your thoughts! Let us know in the comments below.